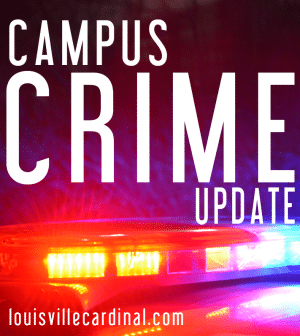 LMPD has informed U of L that a student at duPont Manual High School was the victim of an attempted assault near campus on March 19. The incident occured in the morning before school hours. The victim was grabbed from behind by a male, between the 3rd and 4th Street blocks on Lee Street while walking to the high school. The victim pulled away from the attacker and ran to the school uninjured, but was unable to provide a physical description of the assailant. U of L notified students of the incident through a Rave Alert, sent at 2:14 p.m. ULPD spokesperson Aaron Graham said the alert was sent as soon as U of L was made aware of the incident.